Careers Education at Haggerston is based upon providing aspirational advice to young people on all progression routes and the impact of our programme is evident in the outstanding destinations to which our students go on. Good careers education is one the of the driving forces behind social mobility and our aspiring careers programme is an integral part of our school improvement. The programme is assessed against The Gatsby Benchmarks and measured by tracking the longer term destinations of our students. One-to-One Careers Appointments for every student. Discuss your career aspirations (or explore possibilities if you are unsure of a specific career) and create an action plan to help you progress towards your chosen career. The opportunity to visit places of work, shadow employees, expand networks and explore careers opportunities. At the Annual Careers fair for all key stages and at various enrichment opportunities, including guest speakers, workplace mentoring and enterprise schemes, students have the opportunity to learn from employers and education providers about employment and the skills that are valued in the workplace. All subject areas at Haggerston will highlight the relevance of their subject to a wide range range of career pathways. This includes our outstanding STEM pathway and enrichment opportunities. Support for your sixth form, college and apprenticeship applications. An opportunity for you to ask any careers-related questions. Careers Talks after school throughout the year. Last year professionals came in to talk about a wide variety of careers including journalism, politics, media, finance, medicine and law. Careers Breakfasts before school during spring and summer. 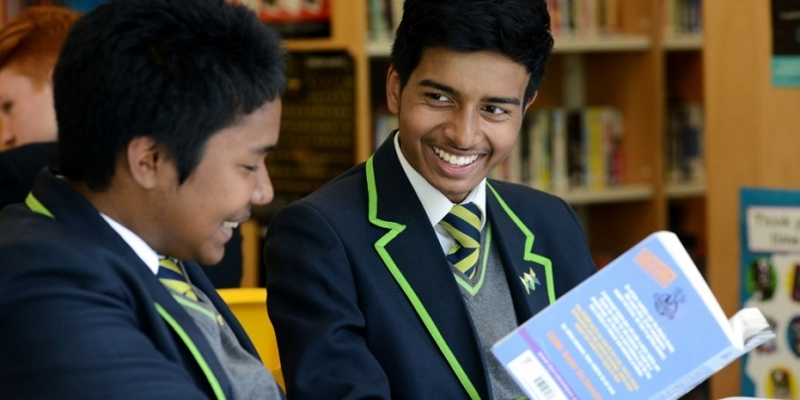 The current careers programme at Haggerston for years 7-13 is available to view here. The next review of this programme is in November 2018. The SLT member in charge of careers is Ms. Pomphrey.